Interpave will be supporting and exhibiting at the SuDSsource 2019 National Sustainable Drainage Conference in Sheffield on 15th May, focusing on concrete block permeable paving as a key SuDS technique. 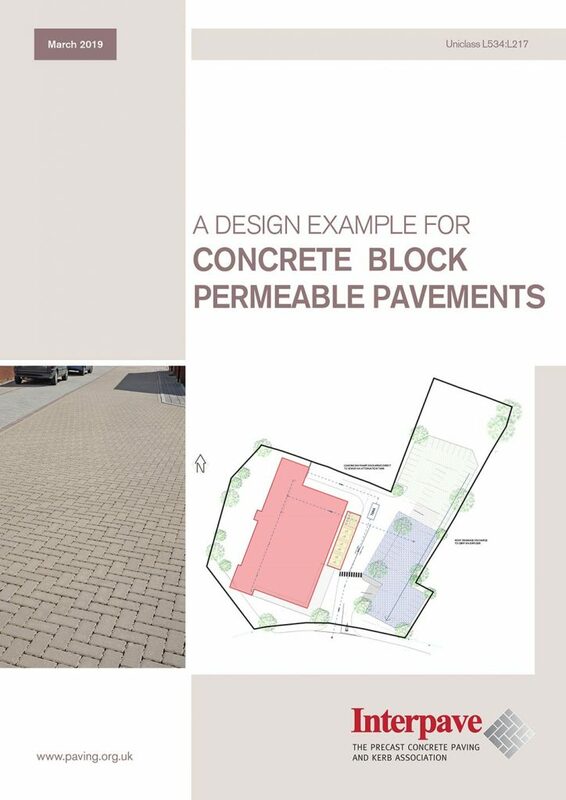 Interpave has also just published a comprehensive example document illustrating the engineering design process set out in its latest edition of ‘Design & Construction of Concrete Block Permeable Pavements’. The SuDSsource 2019 National Sustainable Drainage Conference will be held at the Kelham Island Museum, Sheffield on 15th May. Of particular interest to local authorities and LLFAs, as well as designers, planners and consultants, the Conference theme is ‘Innovation in SuDS Design’. It will reflect where we are today with SuDS, including integration of SuDS with planning and urban design, experiences of SuDS across the UK and exemplar schemes. 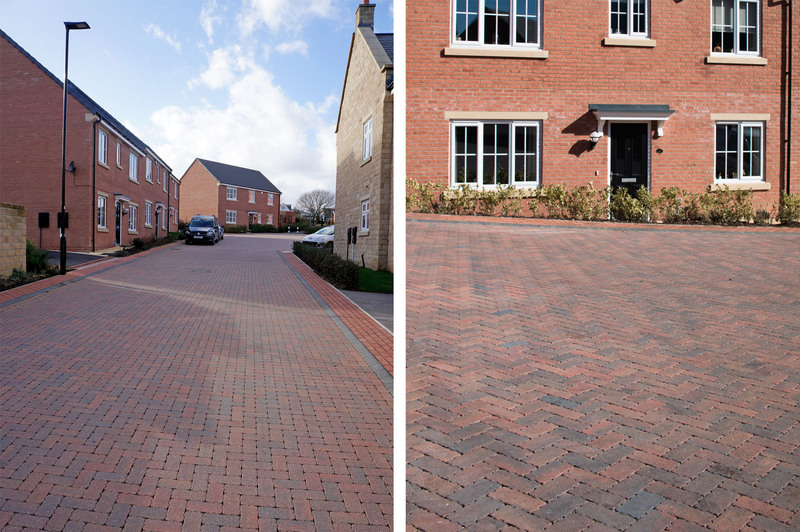 Concrete Block Permeable Paving (CBPP) has proven itself over decades of successful use in the UK and around the world as a key SuDS technique. Experience of CBPP in the UK over more than 20 years use has demonstrated its long-term performance with minimal, if any, maintenance. 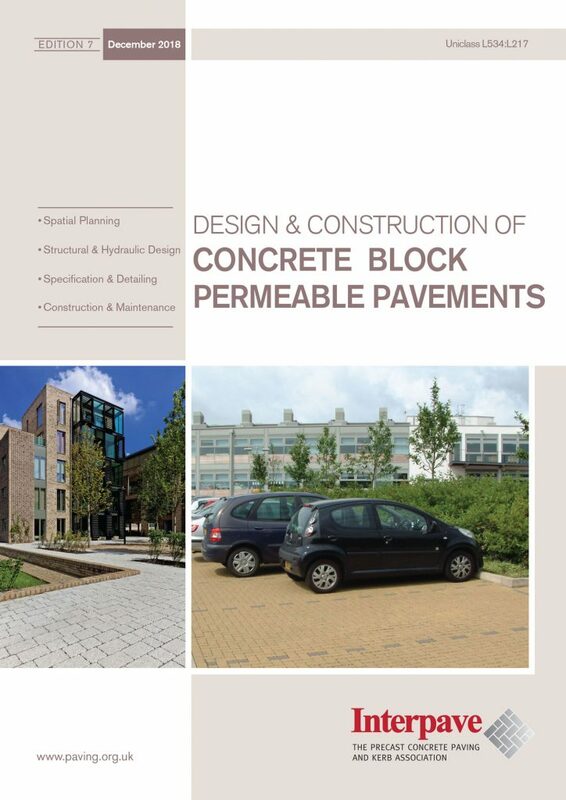 Interpave’s ‘Design & Construction of Concrete Block Permeable Pavements’ guide aims to ensure that CBPP delivers predictable, robust solutions and to minimise cost, maintenance and adoption issues. The guide is intended for planners, urban designers, engineers, local authorities and other decision makers to assist them in the design, construction, approval and maintenance of CBPP on developments. It deals with all aspects and stages of design, relevant to the various professions constituting the project design team, from initial master-planning through to detailed design and construction, and finally post-construction. This latest edition includes an extensive new Glossary and covers the most recent CBPP techniques, such as overlays to existing road constructions and enhanced, predictable water storage using flow controls. The structural and hydraulic engineering design procedures have been comprehensively updated and new, straightforward maintenance and reinstatement guidance added. The new Design Example document provides a comprehensive illustration of the engineering design process set out in the Guide. Read more here about Concrete Block Permeable Paving.